We are your go-to Vienna VA Attic Remodeling company. An attic can in some cases feel like a lot of wasted space. If you have a dark and dingy attic in your home that just seems to be collecting a lot of dust, you may want to think about remodeling it. A reputable home improvement company can provide you with attic renovation work that can do so much for you. Many different things can go into the attic renovation process. Don’t begin the attic remodel process until you’ve thought everything through carefully. The more information you have about your attic, the better. Think about any height limitations that may exist. If your attic ceilings are too low, you need to explore all the options that are suitable for it. You should also carefully assess other components of your attic. These include both the floor joints and the roof supports. There are many ways to remodel and revamp an attic. Your approach may be totally different than another person’s. You can add extra space to your attic. Extensions can be immensely valuable to property owners who want to reap the rewards of more room. You can do so many things with a finished attic. If your attic is large enough, you can turn it into a guest bedroom for people who visit you from out of town. You can turn it into a bedroom for a member of your household. You can turn it into a cozy entertainment center for the entire family. You can even turn it into a pleasant and relaxing office. 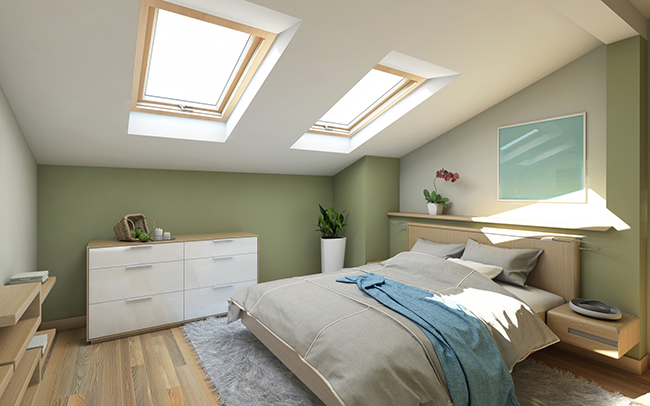 There are so many exciting options available to people who wish to remodel their attics. Some people make the big decision to transform their attics into extra bathrooms. This can be a lifesaver for larger households that are constantly fighting over bathroom time in the morning and at night. Some people opt to upgrade their attics and make them into serene and comforting dens for television viewing, fascinating conversation and beyond. If you’re looking to remodel your attic in Virginia, Beckworth LLC is a trusted company that can cater to your needs. Call Beckworth as soon as you can to learn more about all your fantastic attic remodel options. Our staff members are helpful, thoughtful and patient. Call us today for a free quote about your new attic or home remodeling Northern Virginia project: 703-570-6777 or check out more examples of our work on our Facebook.